If you've got a few things lying around the house, you can do it for under five bucks. How? 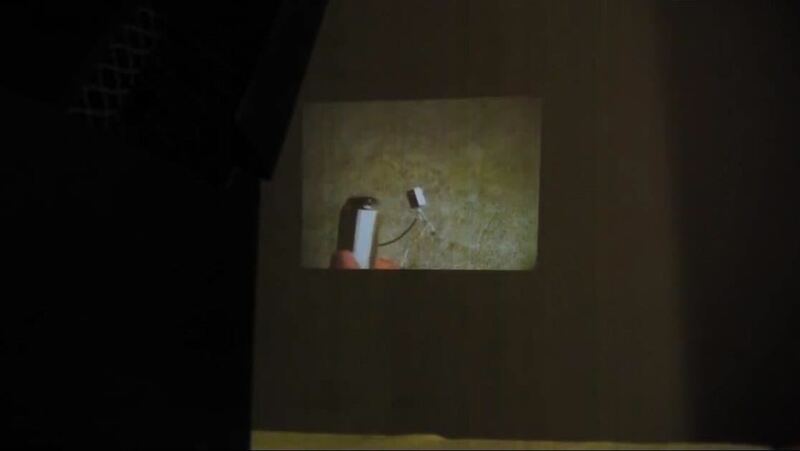 Just build your own projector, instructions courtesy of Household Hacker. Get the magnifying glass out of the casing by any means necessary, which may require some pliers. Line the glass up to the box, draw an outline of the glass with the sharpie, then draw an apex of each point of the outline. You could either draw out the size of the circle, or find something the same size as the magnifying glass and draw around that. Carefully cut the outline of the circle out with the X-Acto knife. 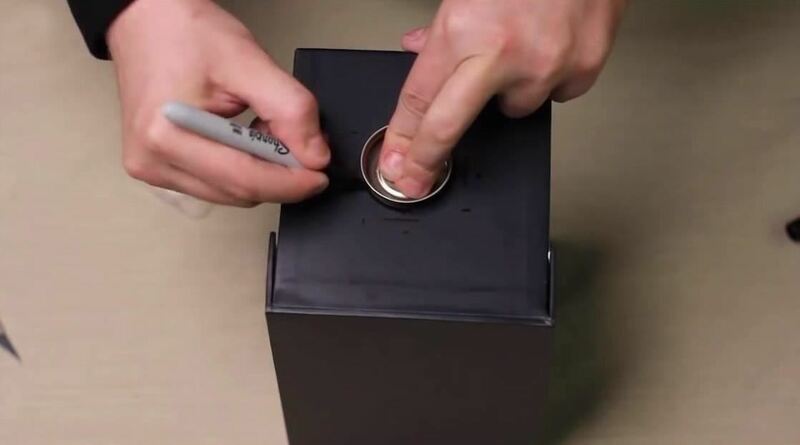 If your box happens to be black, you can color in the edges of the hole with the Sharpie to complete the look. Place the magnifying glass in the circle on the inside of the box, making sure it is lined up perfectly with the hole, then hot-glue it in place. Position your smartphone in by setting Play-Doh along the back of the box. If you want a more permanent holder and have a spare case for your phone, you could use Sugru to attach the case in the box, and then just snap your phone in and out of the case whenever you need it. Be sure the the smartphone you have has the ability to lock it's orientation, because you'll need to place it in upside-down. Most smartphones these days, whether it's an iPhone or Android device, have screen rotation locks. Play any video and enjoy your new projector! 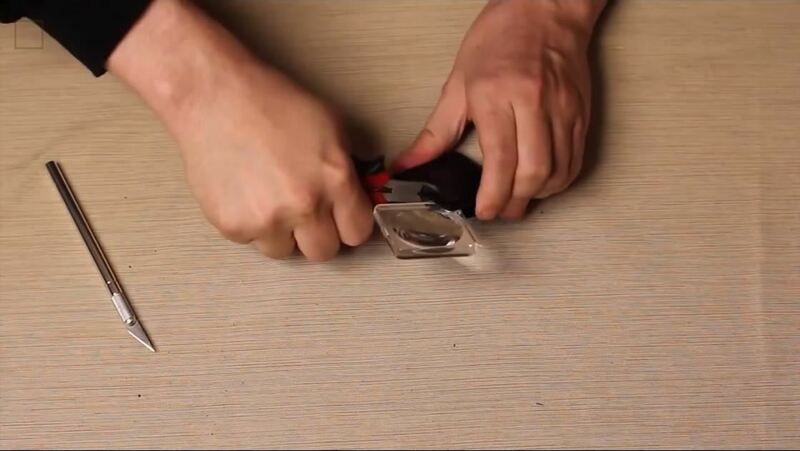 For the best movie night experience, cut out a few holes in the back to connect to an audio cable in order to hear it from your speakers, and make sure to dim the lights. You can change focus by adjusting the position of your phone, but first try adjusting the position of the box relative to your wall. You can also use a bigger magnifying glass for a bigger picture, as seen in this DIY guide, or you can go even bigger with a 50-inch screen and a more professional smartphone projector (though, a tablet will work better), thanks to The King of Random. How'd it go for you? Snap a picture of your projector in action and share it with us in the comments below.